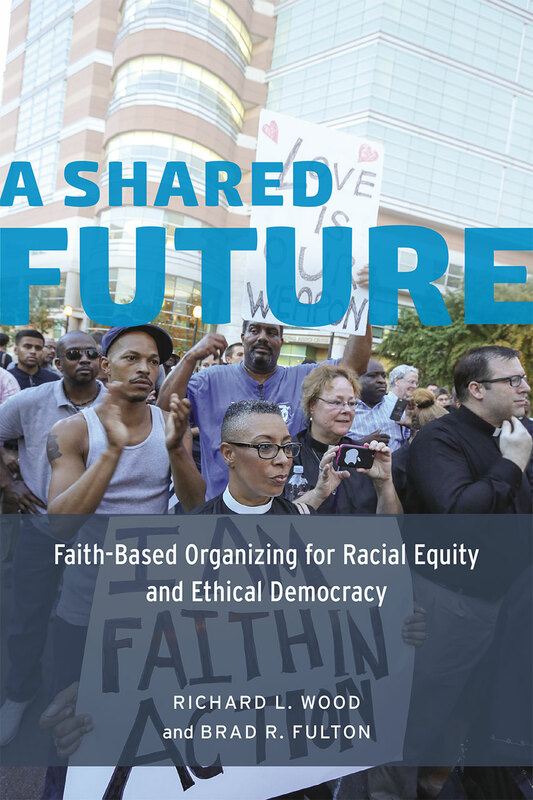 Faith-based community organizers have spent decades working for greater equality in American society, and more recently have become significant players in shaping health care, finance, and immigration reform at the highest levels of government. In A Shared Future, Richard L. Wood and Brad R. Fulton draw on a new national study of community organizing coalitions and in-depth interviews of key leaders in this field to show how faith-based organizing is creatively navigating the competing aspirations of America’s universalist and multiculturalist democratic ideals, even as it confronts three demons bedeviling American politics: economic inequality, federal policy paralysis, and racial inequity. With a broad view of the entire field and a distinct empirical focus on the PICO National Network, Wood and Fulton’s analysis illuminates the tensions, struggles, and deep rewards that come with pursuing racial equity within a social change organization and in society. Ultimately, A Shared Future offers a vision for how we might build a future that embodies the ethical democracy of the best American dreams.